Four discs, housed in a box with some stunning artwork and almost eight hours of audio and visual treats for you to discover. 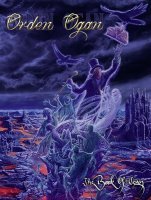 For those amongst you that have already fallen for the charms of Ordan Ogan, this beautifully put together box-set, consisting of 2CDs and 2DVDs plus a lovely forty-page booklet, is an absolute must have. Why? Well to begin with, if we just take the audio discs, the first offers a fourteen track 'Best Of' that spans their output from 2008 to the present day. All the fan faves you could want are here; 'F.E.V.E.R', 'Farewell', 'We Are Pirates! ', 'Ravenhead' etc. However, it's the second disc which is the most interesting part of this audio package, featuring the seven track 'Testimonium A.D.' demo that first brought OO to the attention of the Metal world. Songs such as the dramatic 'Ethereal Ocean', 'Angels War', the epic 'Golden' and 'The Step Away' show why this bunch of Metal warriors have gone on to much bigger and better things. That would be good in itself, but my favourite part of this box-set is the two DVDs, which between them have a running time of over six hours. The first disc boasts an interesting documentary about the band that takes you from their humble beginnings in 1996 right up to 2015. Then, after the documentary, we get the band's eight music videos in chronological order, starting with '...War' from 2004 and finishing up with 2015's 'F.E.V.E.R'. And if that wasn't enough, there's bonus content of a "making of" video for the 'To The End' album and a tour report by the band from their shows with Rhapsody. The second DVD also impresses. It has two full OO live shows filmed last year at Rock Harz Open Air Festival and the Brose Arena, Bramberg. Again fan faves are everywhere with '...End', 'Ravenhead', 'F.E.V.E.R', 'Deaf Among The Blind' and '...Pirates!' all here for your enjoyment. I have to say that the band are on fire during both shows, with the crowd participation at fever pitch throughout both sets. Then, because OO want to give the best that they can to their fans, we again have a raft of goodies in the shape of more bonus material that just keeps on coming. Firstly, there are two more live songs to bang your heads to – '...War' and 'Easton Hope' – which were filmed at Summer Breeze and Waken respectively. Then we have an animated comic called 'Rites Of Vale' to entertain and finally, to round things off, we get three band interviews. 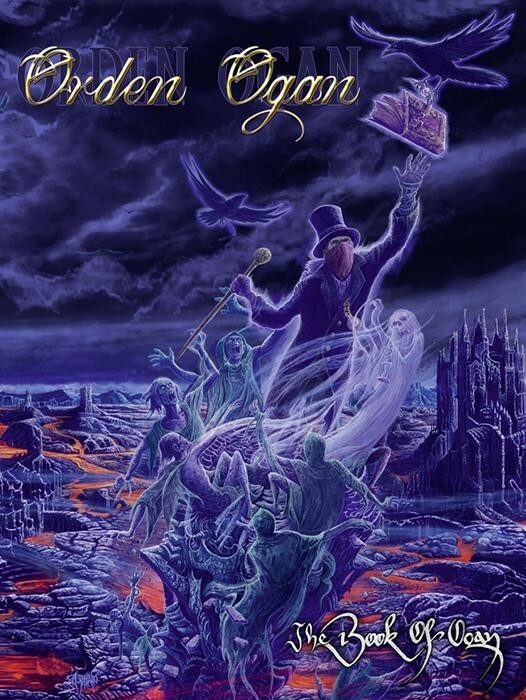 I guess then that if you're a fan of this band, that even before you've finished reading this review you've already ordered this box of delights, but what a wonderful way for the curious amongst you to get to know the superb Metal music of Ordan Ogan. Four discs, housed in a box with some stunning artwork and almost eight hours of audio and visual treats for you to discover. What's not to like?